Morris Starkman, Esq. | We get results! Free consultation. Se habla español. 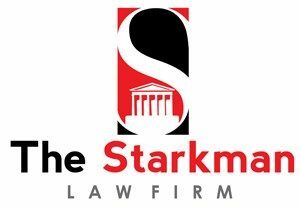 Home » Attorneys » Morris Starkman, Esq. Morris Starkman has been practicing law since 1972. He established his own law firm in 1973. His practice focuses primarily on personal injury law. His practice also includes Workers Compensation, Criminal and Municipal Court law, as well as residential real estate closings and business law. Morris is involved in community activities with his synagogue as well as other charitable activities. He has been married for 44 years with three children and seven grandchildren. Morris graduated Rutgers College in 1969 and Rutgers University Law School in 1972. He is admitted to the Bar of New Jersey as well as the Federal Bar and Bankruptcy Court Bar in the District of New Jersey as well.